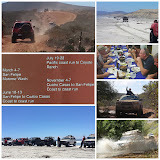 Camp4lo Baja Off Road Tours : Who are we? Matt's first Baja experience was to pre run the 1985 Baja 500 with Baja veteran Ron Brant. He was only 17, and had to ask his Mom if he could go. He was immediately hooked. Since that first trip Matt has been traveling to Baja anytime there was a chance. He has been involved in the Baja 1000, Baja 500, and the San Felipe 250 too many times to count. He also worked for Trackside photo for a few years during the late 80's shooting the races. Whether it's racing, pitting, or photography Matt has logged thousands of miles racing, pre running, and scouting photo locations. His knowledge of the trails and terrain is second to none. Matt loves Baja and one of his favorite things is showing people this wonderful place. Matt's knowledge of where to go and how to go will put you at ease the minute you meet him. From bouncing around in a land rover as a kid in the UK, to designing jeep and truck components, Andy’s passion for 4-wheeling runs deep. 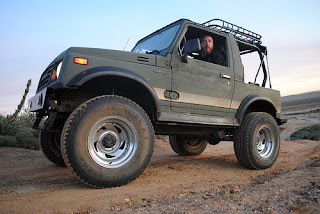 Since moving to the US in 1998 he's explored many of the off-road trails across the US and Baja, both on 2 and 4 wheels. As a former 4wd company owner and engineer Andy can fix most things, but if needed he’s happy to use his Leatherman, Gorilla tape and a selection of zip ties to get you back on the trail. He’s also an expert trail cook, experienced trail navigator and semi professional #underlander. Andy is happy to blaze a new trail to a camp spot deep in Baja, rustle up some great food under the stars and share some of his stories over beers. When not exploring the trails on his bikes or in his Jeep with Camp4Lo, Andy is the owner of www.penhalebicycleco.com where he designs and sells adventure bicycles, built with the same spirit of exploration that we have at Camp4Lo. Bill and Matt have been friends since high school. The two have been partners in crime over 25 years. Bill has been racing and pre running the Baja for many years and has a vacation home on the West coast South of Ensenada. 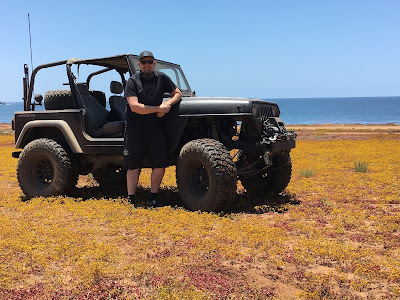 Bill has been off roading with his family in the same area we use for the tours since 2001 he knows some great spots not used by the race course that not many gringos have seen. 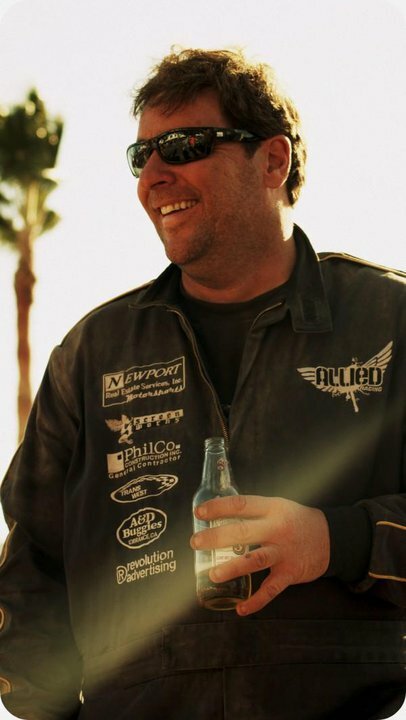 Bill is co founder and brand manager of a successful chopper component COMPANY and he hosts a semi annual MOTORCYCLE event in Baja that boasts over 300 bikes. As busy as he is he loves to show people his first love, the back roads of Baja. We are proud to have Bill on our team. Ron Brant is a Baja legend and has been racing off-road since the early 70's. 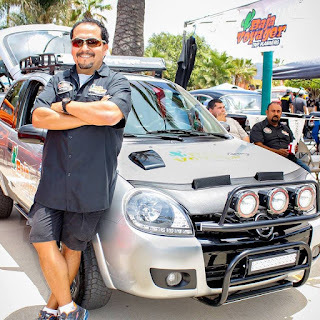 His knowledge of Baja unsurpassed. Ron is currently retired and living in Mulege. When we brought this concept to Ron we were prepared for a long trial to get him to do this. Well, as soon as we laid out the plan he said "I'm there"
We couldn't be more pleased that he would spend his valuable time with us. You will really enjoy sitting around the fire after a long day on the trail and talking with Ron about Baja. We call him J.C. He is your concierge J.C. has relationships with all the hotels, hostels, resturants, and just about everything and everybody in baja. When you book your tour with us J.C. is in charge of all your accomodations. food. etc. He rides along with us and when we stop he is in charge of assigning rooms and he helps with food orders and he even helps with translations at the gas stops. J.C. is our in country guy that puts the icing on the cake of your trip. He sets up trips for many race teams in all the off road races and has a stellar reputation. The addition of him to our team enables us to offer top notch accomodations and he helps us keep your costs reasonable. Pronounced Eeban, Ivan is a Mexican local and has relationships with the locals. Ivan knows just about everybody in the area and most everybody knows Ivan. We have seen him do the impossible. He has helped negotiate with local farmers and ranchers. Ivan is one of those guys that just gets things done. 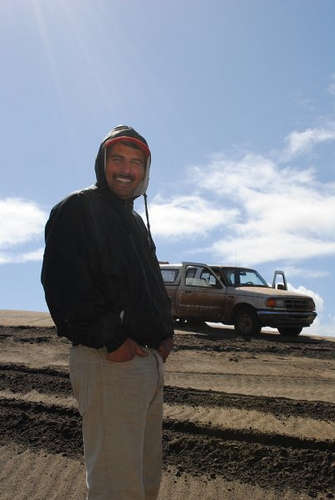 He also has vast knowledge of the Baja terrain and is a great fun guy to be around. With his infectious smile and great attitude and you can't help but smile when Ivan is around. We are a team dedicated to making sure your adventure is unforgettable. We will make sure your trip is one you will never forget. We are sure that when you get home you will return again and again.